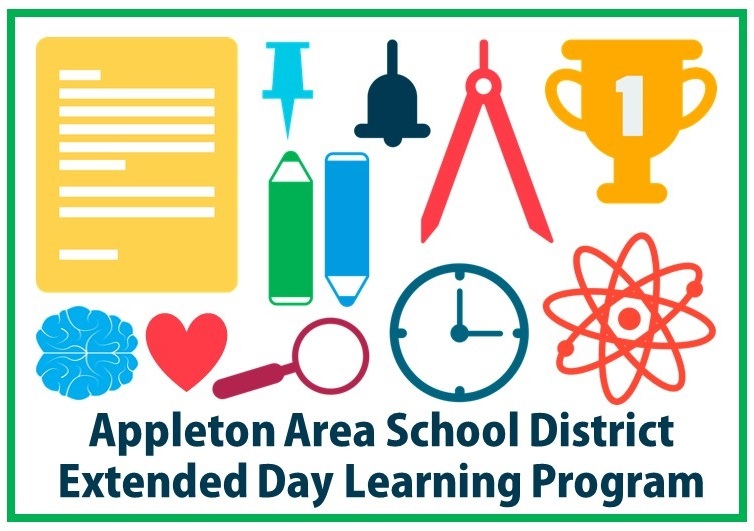 The Appleton Area School District offers high-quality, sustainable out-of-school time learning opportunities and programming for students. These programs are provided through partnerships with the Appleton YMCA and Boys & Girls Clubs of the Fox Valley. Site coordinators are located at each school to create vital links between the student's school hours and non-school hours. Start by looking at the chart below to see what extended day opportunities are available at your student's school. Next, click on the Register links below to learn more about registration and fees. Students who attend Extended Day Programming have the opportunity to participate in a variety of programs that impact academic achievement; help develop new skills and interests; increase awareness and understanding of different cultures; and increase physical fitness, self-esteem, and leadership skills. The YMCA provides safe, quality care for children at various sites throughout the Appleton area. Any child age 5 to 12 years is welcome to participate in the program. The program is licensed by the state of Wisconsin under the group child care regulations. Before care begins at 6:30 a.m. and after care ends at 6:00 p.m. Care on select days outside of the normal school schedule is available at an additional fee. Children may not arrive prior to the scheduled starting time and Y staff must be present to accept the child. YMCA Extended Day Programs are dedicated to offering a quality and caring experience for children 5-12 years of age. Programs are designed to accommodate family schedules and offer children a chance to grow and develop in a positive environment conducive to developing skills and values of caring, honesty, respect, and responsibility. YMCA Extended Programs are designed to encourage children to build healthy, happy attitudes and to work toward developing competencies and skills through a variety of work and play experiences. Our goal is to develop the individual child’s positive self-image, creative expression, communication skills, and motion coordination, in an environment that stimulates a desire to learn and have fun. The Boys & Girls Clubs of the Fox Valley’s mission is to inspire and enable all young people, especially those who need us most, to reach their full potential as productive, responsible and caring citizens. Open Daily: The Club is open every day, after school, when kids have free time and need positive, productive outlets. Professional Staff: Every Club has full and part-time, trained youth development professionals, providing positive role models and mentors. Volunteers provide key supplementary support. Available/Affordable to All Youth: Membership dues are affordable. Clubs reach out to kids who may lack access to other community programs. The Boys & Girls Club offers many activities through their after-school and summer programs at their downtown site and school-based sites. Looking for Late Start Before School Program Registration Forms? Forms are located on your school's website. Click on Parents, then Forms and then Late Start Before School Program Registration Forms. Volunteers usually help with homework either one-on-one or in small groups for the first hour. The second hour is generally a time for playing games and doing activities in the gym or outdoors.